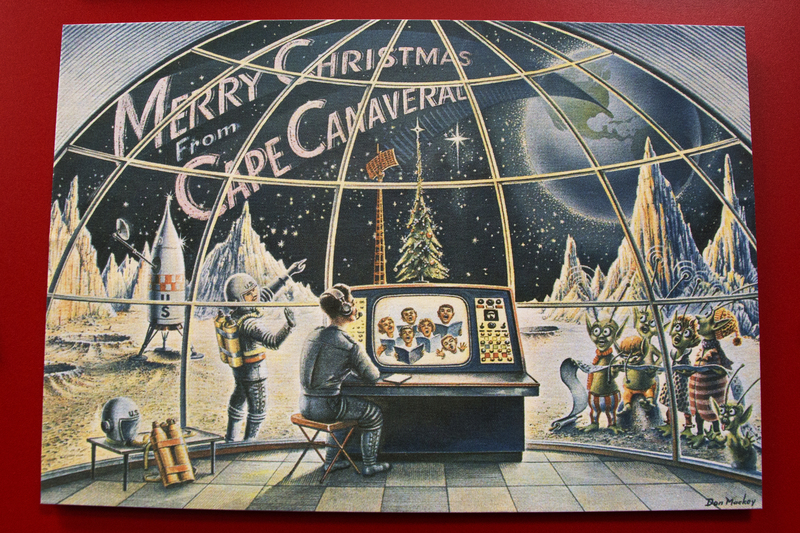 Card #2 Cape Canaveral by Don Mackey shows a Moon station receiving Christmas carols from Earth with the banner “Merry Christmas from Cape Canaveral”. Outside the glass window, a whimsical alien family sings carols, while the youngest alien makes funny faces. An astronaut points toward Earth while standing next to mountains on the Moon. On display at Christmas at the Air Force Space and Missile Museum, Cape Canaveral Air Force Station, Florida.